Independent Queensland MP Bob Katter announced he was supporting the Liberal-led coalition earlier today making it 74-all for the two main parties. Jack the Insider, live blogger for the Australian, says Tony Windsor has given his support to Labor. That makes it 75-74 to Labor. Windsor is taking questions then the other independent, Rob Oakeshott will make his announcement soon. Oakeshott – a hard decision , line ball judgment decision. “Could not get any closer”. On now and still not confirming which way he will go. Labor. RO supports Labor on rural education. Independents Tony Windsor and Rob Oakeshott have broken Australia’s political deadlock by agreeing to back Julia Gillard in a Labor minority government. After more than a fortnight of suspense, Mr Oakeshott and Mr Windsor today revealed their intention to give Labor their crucial votes, meaning it has secured the 76 seats needed to rule. Their decision came hot on the heels of Bob Katter, who earlier confirmed he would back the Coalition, putting it on 74 votes. Mr Oakeshott’s and Mr Windsor’s decision to swing behind Labor is a bitter blow for Opposition Leader Tony Abbott, who came closer than anyone expected to winning the election. In recent days he pleaded with the country trio not to forget their conservative roots. Julia Gillard is still Prime Minister. It is a fragile majority and it will take a lot of skill to hold it together for the parliamentary term. When Jenny Shipley was leading a minority government here she said she used to wake up each day and do the numbers, and she knew she couldn’t always rely on her own team. Julia Gillard will be in a very similar position. Snuggery – a comfortable or cosy place. Ha-Joon Chang’s theory that the washing machine did more for productivity than the internet (see two posts back) was the starting point for my chat with Jim Mora on Critical Mass this afternoon. While on matters domestic we moved from cleaning to cooking and had a look at Something Else to Eat the blog of writer, feminist and keen cook Anne Else. Her love of words and food is obvious in her posts which are a delight to read and, thanks to the photographs, look at. I was part way through her post on making pancakes when I realised she’s married to Harvey McQueen and I’d read the post he wrote on eating the pancakes. The contrast between her description of following his directions And his matter of fact account of the same incident amused me. First I asked where the recipe was. “I just use the Edmond’s one”, he said. So I got it out and showed it to him, because I’ve learnt from long experience that he doesn’t often follow a recipe exactly. . .
Anne made pancakes for our brunch this morning. One of life’s pleasures, a simple dish yet tasty. Deborah at In A Strange Land suggested I look at food blogs, not professional ones but home cooking enthusiasts (thank you). In doing some very quick research this morning I came across some other gems but ran out of time to discuss them. They’ll keep for another time. Other suggestions for themes, blogs or websites which might be suitable for future Critical Mass spots are welcomed. Andrei gets the electronic boquet with four right and a bonus for the donkey. Mr Gronk got two and a bonus for having all the freedoms because I’m letting the others off with having only religion. JC got two and a nearly for his answer to #1. David got 1 3/4 with a bonuses for specifics on the freedoms and good deduction on Rosinante. Adam got three and a bonus for detailing the freedoms. PDM got three and a bonus for wit and extra information (and you may say anything you like about the acceptability or otherwise of the questions). The washing machine has done more for productivity than the internet. That’s the conclusion of Cambridge University economist Ha-Joon Chang. When we assess the impact of technological changes, we tend to downplay things that happened a while ago. Of course, the internet is great – I can now google and find the exact location of this restaurant on the edge of Liverpool or whatever. But when you look at the impact of this on the economy, it’s mainly in the area of leisure. By liberating women from household work and helping to abolish professions such as domestic service, the washing machine and other household goods completely revolutionised the structure of society. As women have become active in the labour market they have acquired a different status at home – they can credibly threaten their partners that if they don’t treat them well they will leave them and make an independent living. And this had huge economic consequences. Rather than spend their time washing clothes, women could go out and do more productive things. Basically, it has doubled the workforce. While computers have made a huge difference to many of the things we use in our every day life, I can see the point about the internet and productivity. Email and websites have made communication and research much easier but they can waste as much time as they save. It’s not just the washing machine but vacuum cleaners, dishwashers, food processors and various other appliances which have lessened the burden of housework. That said, while these have made life much easier but it doesn’t mean that all the time they’ve saved is used productively. An older woman in our district was one of the first to get an automatic washing machine. Another woman asked what she’d do with the time she saved. She replied she was planning to sit down with a book. Mind you, that would definitely be preferable and possibly more productive than spending the time doing the laundry with an old wringer washing machine. The sign at the supermarket told me there was no bread because of the earthquake in Christchurch. I had a moment of irritation then I realised it didn’t matter at all. I have the ingredients, including clean, fresh water, and the power needed to make bread. No doubt over the next few days, and possibly longer, we will find there are other gaps on the grocery shelves because a lot of South Island supermarket stock is produced in or distributed from Christchurch. But we’ll cope with what will be relatively minor inconveniences as the people of Canterbury are coping with far more. I spoke with a friend who lives in Merivale last night. She said it was terrifying on Saturday morning and repeated aftershocks are keeping them all on edge. She lost a few bits and pieces but her house is okay. They were without water for a day, people just a block away got water back on last night, others will have to wait days and maybe longer. But, she said, it’s a miracle no-one was killed. That’s a sentiment expressed by Christchurch MPs Aaron Gilmore and Nicky Wagner. It’s also the message Christchurch mayor Bob Parker keeps repeating. He says everybody has lost something but no-one lost someone. It’s a disaster. But it’s not a tragedy for which the city, the province of Canterbury and the whole country can be very grateful. Compare that with the 1999 Athens earthquake, the anniversary of which is today. It killed 143 people and it was 5.9 magnitude compared with Canterbury’s 7.1 magnitude. Chris McDowall at SciBlogs has a chart of the quake and the aftershocks – he points out the tall line on the left isn’t the axis, it’s the first earthquake. 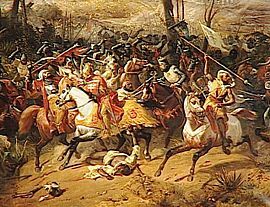 1191 Third Crusade: Battle of Arsuf – Richard I of England defeated Saladin at Arsuf. 1524 Thomas Erastus, Swiss theologian, was born (d. 1583). 1533 Queen Elizabeth I, was born(d. 1603). 1652 Around 15,000 Han farmers and militia rebelled against Dutch rule on Taiwan. 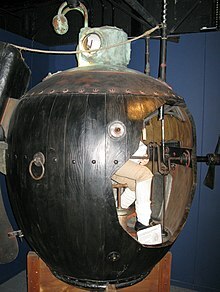 1776 World’s first submarine attack: the American submersible craft Turtle attempted to attach a time bomb to the hull of British Admirl Richard Howe’s flagship HMS Eagle in New York Harbour. 1812 Napoleonic Wars: Battle of Borodino – Napoleon defeated the Russian army of Alexander I near the village of Borodino. 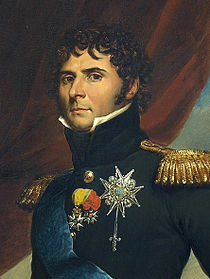 1818 Carl III of Sweden-Norway is crowned king of Norway. 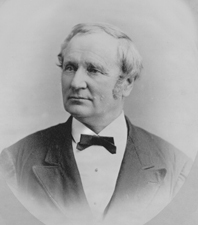 1819 Thomas A. Hendricks, 21st Vice President of the United States, was born (d. 1885). 1821 The Republic of Gran Colombia was established, with Simón Bolívar as the founding President and Francisco de Paula Santander as vice president. 1822 Dom Pedro I declared Brazil independent from Portugal. 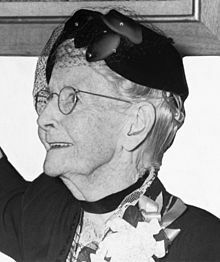 1860 Grandma Moses, American painter, ws born (d. 1961). 1860 Steamship Lady Elgin sank on Lake Michigan, with the loss of around 400 lives. 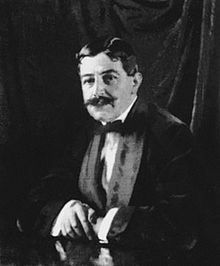 1862 Sir Edgar Speyer, American-born British financier and philanthropist, ws born (d. 1932). 1868 Prussian soldier of fortune Gustavus Ferdinand von Tempsky was killed during the assault on Titokowaru’s pa in south Taranaki. 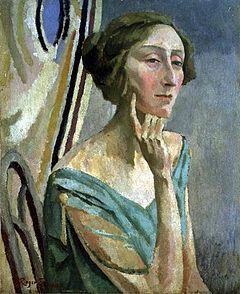 1887 Edith Sitwell, British poet and critic, was born (d. 1964). 1893 The Genoa Cricket & Athletic Club, to become the first Italian football club, was established by British expats. 1895 The first game of what would become known as rugby league was played, in England, starting the 1895-96 Northern Rugby Football Union season. 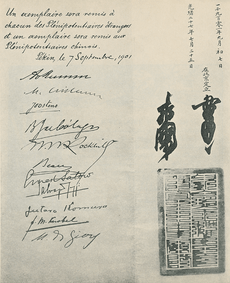 1901 The Boxer Rebellion in China officially ended with the signing of the Boxer Protocol. 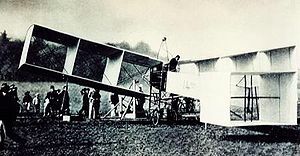 1906 Alberto Santos-Dumont flew his 14-bis aircraft at Bagatelle, France for the first time successfully. 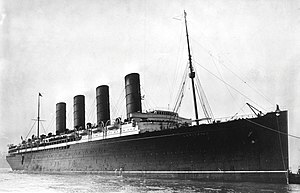 1907 Cunard Line’s RMS Lusitania set sail on her maiden voyage from Liverpool, England to New York City. 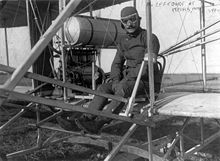 1909 Eugene Lefebvre (1878–1909), while test piloting a new French-built Wright biplane, crashed at Juvisy France. He died, becoming the first ‘pilot’ in the world to lose his life in a powered heavier-than-air craft. 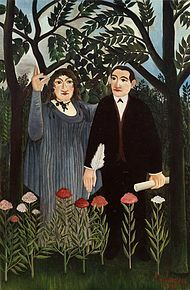 1911 French poet Guillaume Apollinaire was arrested and put in jail on suspicion of stealing the Mona Lisa from the Louvre museum. 1913 Anthony Quayle, British actor and director, was born (d. 1989). 1920 Two newly purchased Savoia flying boats crashed in the Swiss Alps en-route to Finland where killing both crews. 1921 The first Miss America Pageant, a two-day event, was held. 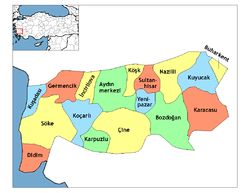 1922 Independence of Aydin, from Greek occupation. 1925 Laura Ashley, British designer, was born (d. 1985). 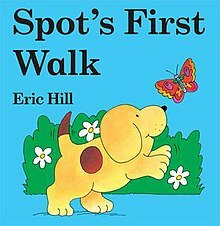 1927 Eric Hill, British children’s Author, was born. 1927 The first fully electronic television system was achieved by Philo Taylor Farnsworth. 1929 Steamer Kuru capsizes and sNk on Lake Näsijärvi, Finland with 136 lives lost. 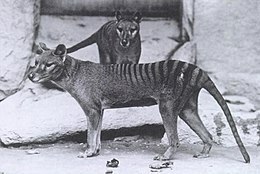 1936 The last surviving member of the thylacine species, Benjamin, died alone in her cage at the Hobart Zoo. 1936 Buddy Holly, American singer (The Crickets), was born (d. 1959). 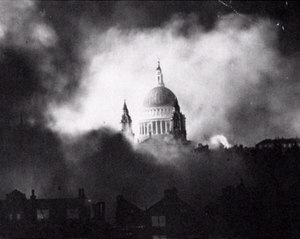 1940 The Blitz – Nazi Germany began to rain bombs on London, the first of 57 consecutive nights of bombing. 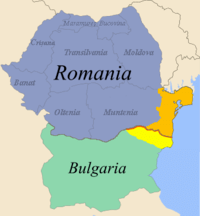 1940 Treaty of Craiova: Romania lost Southern Dobrudja to Bulgaria. 1942 8,700 Jews of Kolomyia (western Ukraine) sent by German Gestapo to death camp in Belzec. 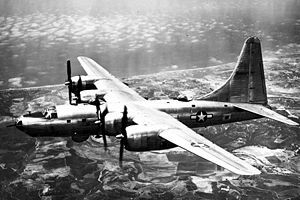 1942 First flight of the Consolidated B-32 Dominator. 1943 A fire at the Gulf Hotel in Houston, Texas, killed 55 people. 1945 Japanese forces on Wake Island, which they had held since December of 1941, surrendered to U.S. Marines. 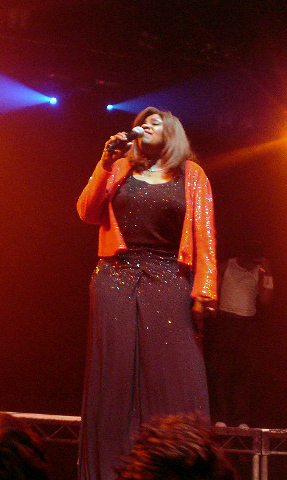 1949 Gloria Gaynor, American singer, was born. 1951 Chrissie Hynde, American guitarist and singer (The Pretenders), was born. 1953 Nikita Khrushchev was elected first secretary of the Communist Party of the Soviet Union. 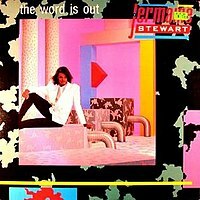 1957 Jermaine Stewart, American pop singer (Shalamar and Culture Club), was born (d. 1997). 1970 – Bill Shoemaker set record for most lifetime wins as a jockey (passing Johnny Longden). 1977 The Torrijos-Carter Treaties between Panama and the United States on the status of the Panama Canal were signed. 1978 While walking across Waterloo Bridge in London Bulgarian dissident Georgi Markov was assassinated by Bulgarian secret police agent Francesco Giullino by means of a ricin pellet fired from in a specially-designed umbrella. 1978 British Prime Minister James Callaghan announced that he would not call a general election for October, considered to be a major political blunder. 1979 The Entertainment and Sports Programming Network, ESPN, made its debut. 1979 – The Chrysler Corporation asked the United States government for USD $1.5 billion to avoid bankruptcy. 1986 Desmond Tutu became the first black man to lead the Anglican Church in South Africa. 1986 Gen. Augusto Pinochet, president of Chile, escaped attempted assassination. 1988 Abdul Ahad Mohmand, the first Afghan in space, returned aboard the Soviet spacecraft Soyuz TM-5 after 9 days on the Mir space station. 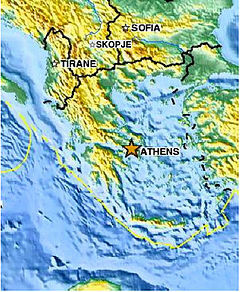 1999 A 5.9 magnitude earthquake rocked Athens, rupturing a previously unknown fault, killing 143, injuring more than 500, and leaving 50,000 people homeless. 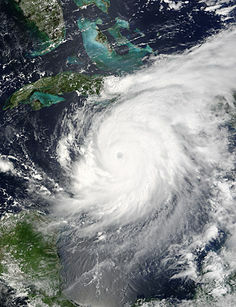 2004 Hurricane Ivan, a Category 5 hurricane hit Grenada, killing 39 and damaging 90% of its buildings. 2005 First presidential election was held in Egypt. 2008 The US Government took control of the two largest mortgage financing companies in the US, Fannie Mae and Freddie Mac. You are currently browsing the Homepaddock blog archives for the day Tuesday, September 7th, 2010.